You Are Here: Home > Why Chris Nikel Chrysler Jeep Dodge Ram FIAT? 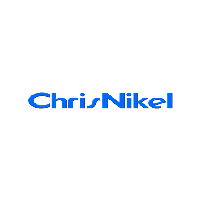 Why Chris Nikel Chrysler Jeep Dodge Ram FIAT? We understand that getting a new vehicle is an important decision and finding the right place to get it is a priority. If you are asking yourself, “Why should I get my next car from Chris Nikel Chrysler Jeep Dodge Ram FIAT?”, here are only a few of the reasons. We take the headache out of car shopping by listing our best price online and in the window of every vehicle in stock. This way even the most novice shopper can get the same great deal as a seasoned veteran. No doc fees, no delivery fees, no dealer prep fees, no undercoating, no window etching, no gotchas. Forty years of history in the Tulsa area. Chris Nikel Chrysler Jeep Dodge Ram FIAT is a locally owned and operated dealer with over four decades of serving the community. Chris Nikel Chrysler Jeep Dodge Ram FIAT isn’t just a name on a sign, he is an active part of day-to-day operations with a family that works by his side. We keep over 500 vehicles in stock. We are sure to have the perfect car, truck, van, or SUV that suits your needs and fits your budget. If for some reason, we don’t have the ideal new vehicle for you, we can get it! We can tap into our extensive network and have your new vehicle for you within 72 hours or even order from the factory exactly to your specifications. So, your vehicle is in service and you need to get to work, pick up the kids from school, and run a few errands. Don’t worry, Chris Nikel Chrysler Jeep Dodge Ram FIAT makes sure you have a loaner car for the day. pre-owned vehicles long before any manufacturer “certified” their used cars. Our process exceeds factory standards ensuring many miles of worry-free driving. We inspect every title that comes through our office. We are committed to selling safe and reliable vehicles. If it does not meet our high standards, we won’t sell it! We’ve got nothing to hide. Every pre-owned vehicle offered by Chris Nikel Chrysler Jeep Dodge Ram FIAT comes with the confidence of a vehicle history report giving you extra peace of mind.